You are visiting the blog of Wendy Boag. 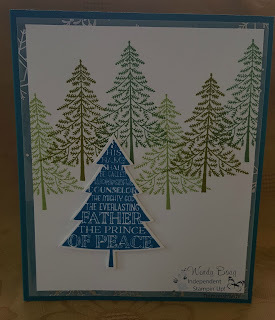 I have used the stamp set Peaceful Pines. I love this set as it could be versatile with a few of the other sets that have come out in the holiday catalogue. I hope I have been able to give you some inspiration.